Rancho Mirage Country Club was purchased by Oasis Ranch LLC early in 2015. Oasis Ranch LLC lists Ronald Richards as principle. The golf course is closed in June of that year. Apparently, the owners ceased watering and maintenance at that time. A fence was erected around the course, barring entry in September, 2015. In October, 2015, the Rancho Mirage Homeowners Association filed suit against the new owners, seeking $39 million, the estimated collective property value loss. In a separate action, the association began charging homeowners an additional $250 per month in fees to support the course. However, the association waived this new fee for members of the country club. November 2015, the golf course equipment, golf shop stock, golf carts, etc. are scheduled for auction. November 29, 2017, the Rancho Mirage Homeowners Association (RMHA) have come to an agreement with Oasis Ranch LLC will retain 25 acres of the property on which they or their contractor are to build a boutique hotel, spa, swimming pool and some residences. Once those plans are approved, Oasis Ranch must transfer the rest of the property to the homeowners at no cost. Further, the developer of the hotel is obligated to rebuild the golf course first. 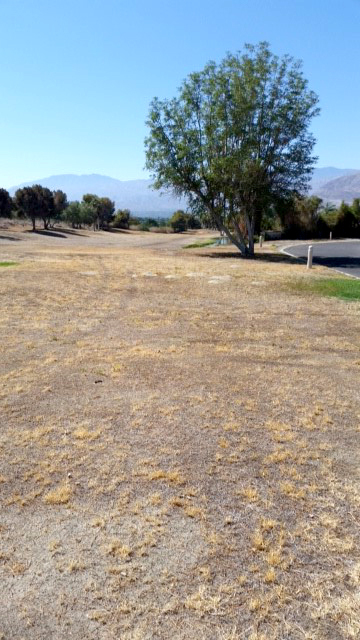 Watering and limited maintenance have been restored to the golf course, with the $50,000 monthly cost being split equally between the homeowners association and the Oasis Ranch LLC. We have not heard that the course has been reopened or that any of the proposed projects has begun. However, the association website shows a rendering of the new golf course layout and the hotel and spa and new homes.